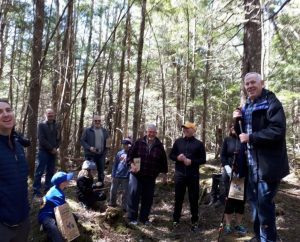 Bob Guscott led an enthusiastic group of about 40 on a forest walk at Sandy Lake on April 22nd, 2018. 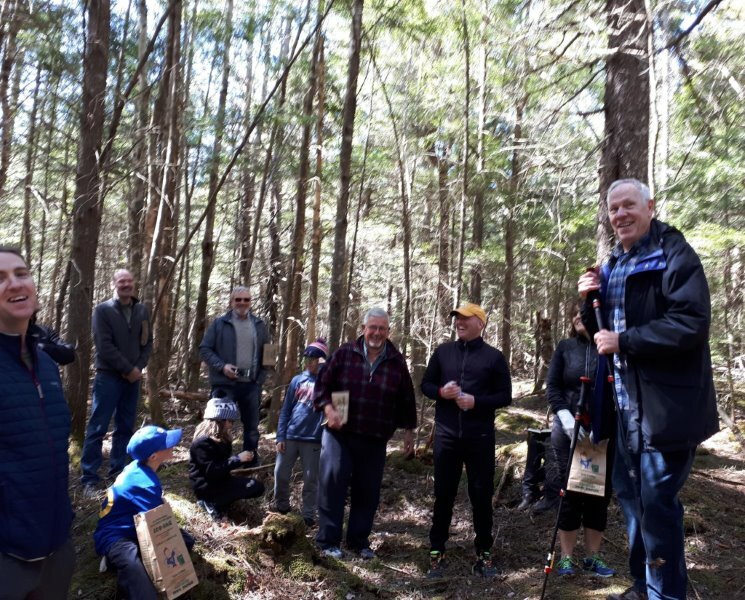 The event, organized by the Sandy Lake Conservation Association (www.sandylake.org), had three purposes: to celebrate Earth Day, to recognize the city’s work to create a Green Network, and to launch the Sandy Lake Regional Park Coalition. 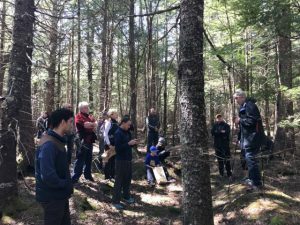 Bob is a keen naturalist and forest ecologist who retired from the NS Dept. of Natural Resources after 30 years as a Chief Technician and Forest Health Specialist. He taught us about the pit and mound topography that is unique to old growth Acadian forests, the significance of the select-cut tree stumps that are 60-80 years old, and why dead trees in wooded areas are not a “mess”, but are better left as natural habitat for woodland creatures and as natural fertilizer for the next generation of trees. 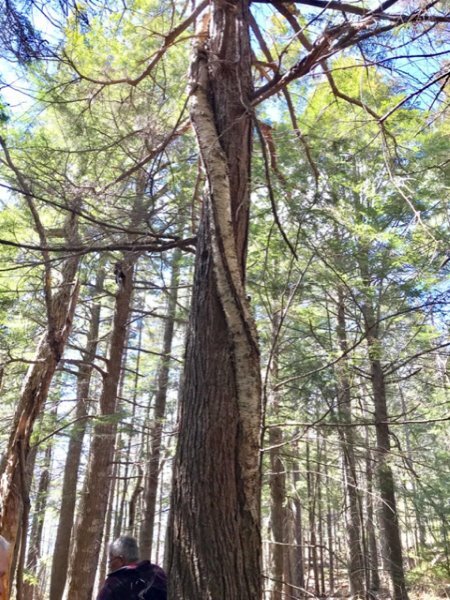 Also, that they pose no real fire risk, and that old growth forests like this are becoming rare in Nova Scotia and need bylaw protection as is done in Slovakia. 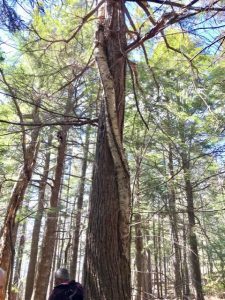 We learned of the new awareness about connections and life going on underground that we don’t see – how scientists injected isotopes into a tree and a year later they were found in a tree on the other side of the forested area. How small trees are fed by the big ones, and that forests like this should be available to every child. A barred owl flew over us at one point! 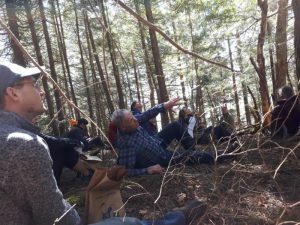 We spent a few minutes “forest bathing”, quietly listening to the sounds of the forest. One woman said she will never look at the woods the same again. City Councillors Steve Craig, Tim Outhit, and Matt Whitman and family members took part along with community members and representatives from several of the newly formed coalition’s groups. Jenny Lugar of Our HRM Alliance highlighted the eagerness with which we await the city’s Green Network Plan. Clarence Stevens of the Halifax Field Naturalists and the Turtle Patrol added to the day by providing information on birds and reptiles, and he inspired the spring trash pick-up activity during the walk. 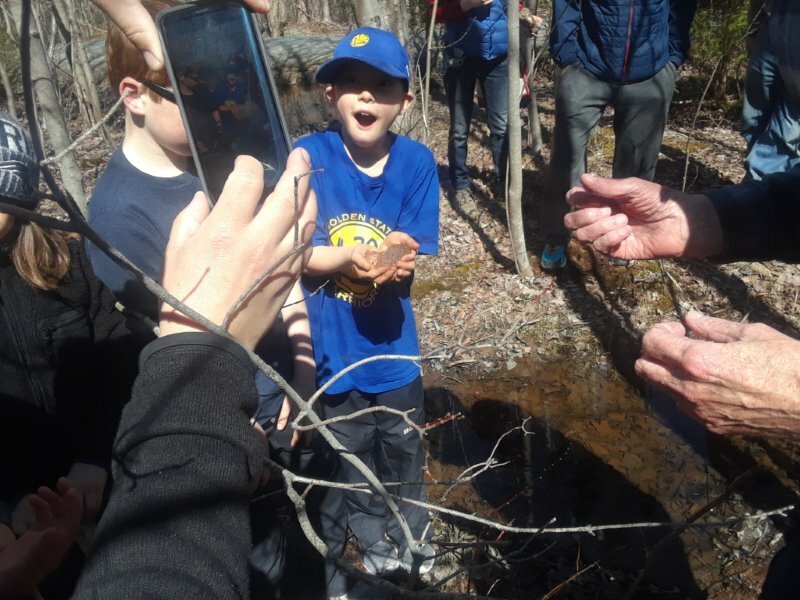 The Sandy Lake Conservation Association and Sackville Rivers Association are coordinating efforts to protect watershed and ecosystem of Sandy Lake, Marsh Lake, Jack Lake and the Sackville River in the form of a regional park. 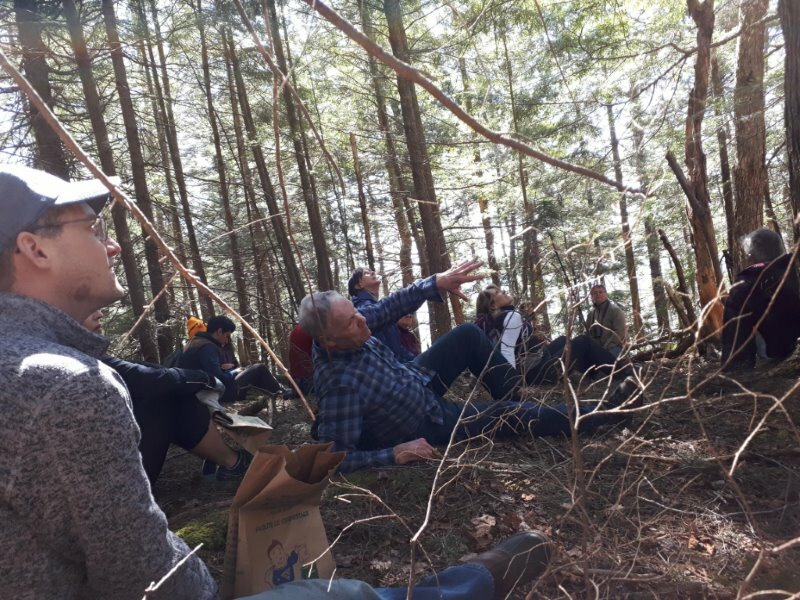 We thank Bob Guscott for this unforgettable forest walk. 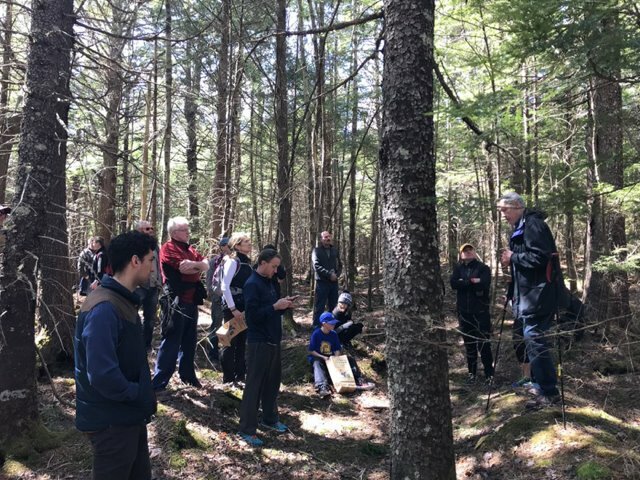 This entry was posted in Acadian forest, Biophilia, Talks & Walks. Bookmark the permalink.